This article is about the first chief designer of the Soviet space programme. For other uses, see Sergei Korolev (disambiguation). "The Chief Designer" redirects here. For the 2001 Andy Duncan novella, see The Chief Designer (novella). Sergei Pavlovich Korolev (Russian: Серге́й Па́влович Королёв, IPA: [sʲɪrˈgʲej ˈpavɫəvʲɪtɕ kərɐˈlʲɵf] ( listen), also transliterated as Sergey Pavlovich Korolyov, Ukrainian: Сергій Павлович Корольов / Serhiy Pavlovych Korolyov; 12 January 1907 (OS 30 December 1906) – 14 January 1966, worked as the lead Soviet rocket engineer and spacecraft designer during the Space Race between the United States and the Soviet Union in the 1950s and 1960s. He is regarded by many as the father of practical astronautics. He was involved in the development of the R-7 Rocket, Sputnik 1, and launching Laika and the first human being into space. Although Korolev trained as an aircraft designer, his greatest strengths proved to be in design integration, organization and strategic planning. Arrested on a false official charge as a "member of an anti-Soviet counter-revolutionary organization" (which would later be reduced to "saboteur of military technology"), he was imprisoned in 1938 for almost six years, including some months in a Kolyma labour camp. Following his release he became a recognized rocket designer and a key figure in the development of the Soviet Intercontinental ballistic missile program. He later directed the Soviet space program and was made a Member of Soviet Academy of Sciences, overseeing the early successes of the Sputnik and Vostok projects including the first human Earth orbit mission by Yuri Alexeyvich Gagarin on 12 April 1961. Korolev's unexpected death in 1966 interrupted implementation of his plans for a Soviet manned Moon landing before the United States 1969 mission. Before his death he was officially identified only as Glavny Konstruktor (Главный Конструктор), or the Chief Designer, to protect him from possible cold war assassination attempts by the United States. Even some of the cosmonauts who worked with him were unaware of his last name; he only went by Chief Designer. Only following his death in 1966 was his identity revealed and he received the appropriate public recognition as the driving force behind Soviet accomplishments in space exploration during and following the International Geophysical Year. Korolev as a boy in 1912. Korolev was born in Zhytomyr, the capital of Volhynian Governorate of the Russian Empire now located in Ukraine. His father, Pavel Yakovlevich Korolev, was born in Mogilev to a Russian soldier and a Belarusian mother. His mother, Maria Nikolaevna Koroleva (Moskalenko/Bulanina), was a daughter of a wealthy merchant in the Ukrainian city of Nizhyn with Cossack heritage. On his maternal side, in addition to Ukrainian Cossacks, he also had Greek and Polish ancestry. His father moved to Zhytomyr to be a teacher of the Russian language. Three years after his birth the couple separated due to financial difficulties. Although Pavel later wrote to Maria requesting a meeting with his son, Sergei was informed by his mother that his father had died. Sergei never saw his father after the family break-up, and Pavel died in 1929 before his son learned the truth. Korolev grew up in Nizhyn, under the care of his maternal grandparents Mykola Yakovych Moskalenko who was a trader of the Second Guild and Maria Matviivna Moskalenko (Fursa), a daughter of a local cossack. Korolev's mother also had a sister Anna and two brothers Yuri and Vasily. Maria Koroleva was frequently away attending Women's higher education courses in Kiev. As a child, Korolev was stubborn, persistent, and argumentative. Sergei grew up a lonely child with few friends. Korolev began reading at an early age, and his abilities in mathematics and other subjects made him a favorite student of his teachers, but caused jealousy from his peers. He later stated in an interview, the torment of classmates bullying and teasing him as a small child encouraged his focus on academic work. His mother divorced Pavel in 1915 and in 1916 married Grigory Mikhailovich Balanin, an electrical engineer educated in Germany but attending the Kiev Polytechnic University because German engineering diplomas were unrecognized in Russia. After getting a job with the regional railway, Grigory moved the family to Odessa in 1917, where they endured hardships with many other families through the tumultuous years following the Russian Revolution and continuing internecine struggles until the Bolsheviks assumed unchallenged power in 1920. Local schools were closed and young Korolev had to continue his studies at home. Grigory proved a good influence on his step-son, who suffered from a bout of typhus during the severe food shortages of 1919. Korolev received vocational training in carpentry and in various academics at the Odessa Building Trades School (Stroyprofshkola No. 1). Enjoyment of a 1913 air show inspired interest in aeronautical engineering. Korolev began designing a glider as a diversion while studying for his graduation exams at the vocational school. He made an independent study of flight theory, and worked in the local glider club. A detachment of military seaplanes had been stationed in Odessa, and Korolev took a keen interest in their operations. In 1923 he joined the Society of Aviation and Aerial Navigation of Ukraine and the Crimea (OAVUK). He had his first flying lesson after joining the Odessa hydroplane squadron and had many opportunities to fly as a passenger. In 1924 he personally designed an OAVUK construction project glider called the K-5. He briefly trained in gymnastics until his academic work suffered from this distraction. Korolev hoped to attend the Zhukovsky Academy in Moscow, but his qualifications did not meet the academy's standards. He attended the Kiev Polytechnic Institute's aviation branch in 1924 while living with his uncle Yuri, and earning money to pay for his courses by performing odd jobs. His curriculum was technically oriented, and included various engineering, physics and mathematics classes. He met and became attracted to a classmate, Xenia Vincentini, who would later become his first wife. In 1925 he was accepted into a limited class on glider construction, and suffered two broken ribs flying the training glider they built. He continued courses at Kiev until he was accepted into the Bauman Moscow State Technical University (MVTU, BMSTU) in July 1926. Korolev studied specialized aviation topics until 1929, while living with his family in the typically crowded conditions of Moscow. Korolev enjoyed opportunities to fly gliders and powered aircraft during this part of his education. He designed a glider in 1928, and flew it in a competition the next year. The Communist Party accelerated the education of engineers in 1929 to meet the country's urgent need for their skills. Korolev obtained a diploma by producing a practical aircraft design by the end of the year. His advisor was the famous Andrei Tupolev. 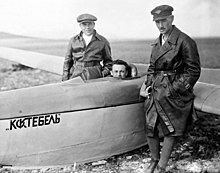 Korolev sitting in the cockpit of glider "Koktebel." Korolev in comdiv uniform (1933). After graduation, Korolev worked with some of the best Soviet designers at the 4th Experimental Section aircraft design bureau OPO-4 headed by Paul Aimé Richard [fr] who emigrated to the USSR from France in the 1920s. He did not stand out in this group, but while so employed he also worked independently to design a glider capable of performing aerobatics. In 1930 he became interested in the possibilities of liquid-fueled rocket engines to propel airplanes while working as a lead engineer on the Tupolev TB-3 heavy bomber. Korolev earned his pilot's license in 1930 and explored the operational limits of the aircraft he piloted, wondering what was beyond his plane's altitude limit and how he could get there. Many believe this was the start of his interest in space. Korolev married Xenia Vincentini on 6 August 1931. He had first proposed marriage to her in 1924, but she then declined so she might continue her higher education. In 1931, Korolev and space travel enthusiast Friedrich Zander participated in the creation of the Group for the Study of Reactive Motion (GIRD), one of the earliest state-sponsored centers for rocket development in the USSR. In May 1932 Korolev was appointed chief of the group; and military interest encouraged funding of group projects. GIRD developed three different propulsion systems, each more successful than the last. Their first launch of a liquid-fueled rocket was GIRD-X in 1933. (Although this is often cited as the GIRD-09, the hybrid GIRD-09 used solid gasoline and liquid oxygen.) This was just seventeen years after Colonel Ivan Platonovich Grave's first launch in 1916 (patent in 1924). Growing military interest in this new technology caused GIRD to be merged with the Gas Dynamics Laboratory (GDL) at Leningrad in 1933 to create the Jet Propulsion Research Institute (RNII), headed up by the military engineer Ivan Kleimenov and containing a number of enthusiastic proponents of space travel, including Valentin Glushko. Korolev became the Deputy Chief of the institute, where he supervised development of cruise missiles and a manned rocket-powered glider. "Rocket Flight in Stratosphere" was published by Korolev in 1934. On 10 April 1935, Korolev's wife gave birth to their daughter, Natalya; and they moved out of Sergei's parents' home and into their own apartment in 1936. Both Korolev and his wife had careers, and Sergei always spent long hours at his design office. By now he was chief engineer at RNII. The RNII team continued their development work on rocketry, with particular focus on the area of stability and control. They developed automated gyroscope stabilization systems that allowed stable flight along a programmed trajectory. Korolev was a charismatic leader who served primarily as an engineering project manager. He was a demanding, hard-working man, with a disciplinary style of management. Korolev personally monitored all key stages of the programs and paid meticulous attention to detail. Korolev was arrested by the NKVD on 22 June 1938 after being accused of deliberately slowing the work of the research institute by Ivan Kleymenov, Georgy Langemak, leaders of the institute, executed in January, and Valentin Glushko, who was arrested in March. He was tortured in the Lubyanka prison to extract a confession during the Great Purge, and was tried and sentenced to death as the purge was waning. Kleymenov and Langemak were executed, but Glushko and Korolev survived. Glushko and Korolev had reportedly been denounced by Andrei Kostikov, who became the head of RNII after its leadership was arrested. The rocket program was set back for years and fell far behind the rapid progress taking place in Nazi Germany. Kostikov was ousted a few years later over accusations of budget irregularities. Korolev was sent to prison, where he wrote many appeals to the authorities, including Stalin himself. Following the fall of NKVD head Nikolai Yezhov, the new chief Lavrenti Beria chose to retry Korolev on reduced charges in 1939; but by that time Korolev was on his way from prison to a gulag camp in the far east of Siberia, where he spent several months in a gold mine in the Kolyma area before word reached him of his retrial. Work camp conditions of inadequate food, shelter, and clothing killed thousands of prisoners each month. Korolev sustained injuries and lost most of his teeth from scurvy before being returned to Moscow in late 1939. When he reached Moscow, Korolev's sentence was reduced to eight years to be served in a sharashka penitentiary for intellectuals and the educated. These were effectively slave-labor camps where scientists and engineers worked on projects assigned by the Communist party leadership. The Central Design Bureau 29 (CKB-29, ЦКБ-29) of the NKVD, served as Tupolev's engineering facility, and Korolev was brought here to work for his old mentor. During World War II, this sharashka designed both the Tupolev Tu-2 bomber and the Petlyakov Pe-2 dive bomber. The group was moved several times during the war, the first time to avoid capture by advancing German forces. Korolev was moved in 1942 to the sharashka of Kazan OKB-16 under Glushko. Korolev and Glushko designed rocket-assisted take off boosters for aircraft and the RD-1 kHz auxiliary rocket motor tested in an unsuccessful fast-climb Lavochkin La-7R. Korolev was isolated from his family until 27 June 1944 when he – along with Tupolev, Glushko and others – was finally discharged by special government decree, although the charges against him were not dropped until 1957. Korolev rarely talked about his experience in the gulag. He lived under constant fear of being executed for the military secrets he possessed, and was deeply affected by his time in the camp, becoming reserved and cautious. He later learned Glushko was one of his accusers and this may have been the cause of the lifelong animosity between the two men. The design bureau was handed over from NKVD control to the government's aviation industry commission. Korolev continued working with the bureau for another year, serving as deputy designer under Glushko and studying various rocket designs. Korolev was commissioned into the Red Army with the rank of colonel in 1945; his first decoration was the Badge of Honor, awarded in 1945 for his work on the development of rocket motors for military aircraft. On September 8, 1945, Korolev was brought to Germany along with many other experts to recover the technology of the German V-2 rocket . The Soviets placed a priority on reproducing lost documentation on the V-2, and studying the various parts and captured manufacturing facilities. That work continued in East Germany until late 1946, when 2,000+ German scientists and engineers were sent to Russia through Operation Osoaviakhim. Most of the German experts, Helmut Gröttrup being an exception, were engineers and technicians involved in wartime mass-production of V-2, and they had not worked directly with Wernher von Braun. Many of the leading German rocket scientists, including Dr. von Braun himself, surrendered to Americans and were transported to the United States as part of Operation Paperclip. All structures on Gorodomlya island were renovated and living conditions were quite decent for those times. At least married specialists received separate two- or three-room apartments. Visiting the island, I could only envy them, because I and my family lived in Moscow in a shared four-room apartment, where we had two rooms of 24 square metres (260 sq ft) combined. Many of our specialists and workers lived in barracks without most elementary necessities. [...] This is why life on the island behind barbed wire could not compare at all to prisoner of war conditions. Development of ballistic missiles was put under the military control of Dmitriy Ustinov through the decree signed by Stalin, and Ustinov appointed Korolev as chief designer of long-range missiles at the Special Design Bureau 1 (OKB-1) of NII-88. Korolev demonstrated his organizational abilities in this new facility by keeping a dysfunctional and highly compartmentalized organization operating. With blueprints produced from disassembled V-2 rockets, the team began producing a working replica of the rocket. This was designated the R-1, and was first tested in October 1947. A total of eleven were launched with five hitting the target. This was similar to the German hit ratio, and demonstrated the unreliability of the V-2. In 1947, Korolev's group began working on more advanced designs, with improvements in range and throw weight. The R-2 doubled the range of the V-2, and was the first design to utilize a separate warhead. This was followed by the R-3, which had a range of 3,000 kilometres (1,900 mi), and thus could target England. The Soviets continued to utilize the expertise of the Germans on V-2 technology for some time; but, to preserve secrecy surrounding the ballistic missile program, Gröttrup and his team had no access to classified work of their Russian colleagues on new rocket technology including production and testing facilities. This negatively affected the morale of the German team and limited their technical contributions. The Ministry of Defence decided to dissolve the German team in 1950 and repatriated the German engineers and their families between December 1951 and November 1953. Glushko couldn't obtain the required thrust from the R-3 engines, so the project was canceled in 1952; and Korolev joined the Soviet Communist Party that year to request money from the government for future projects including the R-5, with a more modest 1,200 kilometres (750 mi) range. It completed a first successful flight by 1953. The world's first true intercontinental ballistic missile (ICBM) was the R-7 Semyorka. This was a two-stage rocket with a maximum payload of 5.4 tons, sufficient to carry the Soviets' bulky nuclear bomb an impressive distance of 7,000 kilometres (4,300 mi). After several test failures, the R-7 successfully launched on 21 August 1957, sending a dummy payload to the Kamchatka Peninsula. Because of Korolev's success with the R-7 and because the Soviet Union had successfully created the ICBM before the United States of America, he was nationally recognized by the Soviet Union, although his name was kept secret. However, despite the Soviet R-7 initial success, it experienced later failures as it was not intended to be a practical weapon . On 19 April 1957 Korolev was declared fully "rehabilitated", as the government acknowledged that his sentence was unjust. Korolev was keenly aware of the orbital possibilities of the rockets being designed as ICBMs. He had brought up the idea of using the R-7 to launch a satellite into space to the Central Committee of the Communist Party, but was rejected. The Communist Party was uninterested until the United States (US) press began discussing a possible satellite launch for the International Geophysical year. While the US government debated the idea of spending millions of dollars on this concept, Korolev's group suggested the international prestige of launching a satellite before the United States could act. The spirit of cold war competition was adequate to secure approval for the project. The satellite was designed and constructed in less than a month. Sputnik 1 was a simple polished metal sphere no bigger than a beach ball, containing batteries powering a transmitter using 4 external communication antennas. Korolev personally managed the assembly at a hectic pace; and the satellite was placed in orbit using a rocket that had successfully launched only once before. International response to the accomplishment was electrifying, and political ramifications continued for decades. Sputnik 1 was successfully completed and launched into space on 4 October 1957, and it was the very first satellite of its kind. Nikita Khrushchev was initially bored with the idea of another "Korolev rocket launch", but after the wide recognition was pleased with this success, and encouraged launch of a more sophisticated satellite less than a month later in time for the 40th anniversary of the October Revolution on 3 November . Korolev and close associate Mstislav Keldysh wished to up the ante of building a second, larger satellite by proposing the idea of putting a dog on board, which sufficiently caught the interest of the Soviet Academy of Sciences . This new Sputnik 2 spacecraft had six times the mass of the Sputnik 1, and carried the dog Laika as a payload. The entire vehicle was designed from scratch within four weeks, with no time for testing or quality checks. It was successfully launched on 3 November and Laika was placed in orbit. There was no mechanism to bring the dog back to Earth; the dog died from heat exhaustion after five hours in space. The instrument-laden Sputnik 3 spacecraft was launched initially on 27 April 1958, but the satellite had a failure with the engine which caused the satellite to fall back down to earth in separate pieces . On 15 May 1958, Sputnik 3 was successfully launched into orbit. The tape recorder that was to store the data failed after launch. As a result, the discovery and mapping of the Van Allen radiation belts was left to the United States' Explorer 3 and Pioneer 3 satellites. Sputnik 3 left little doubt with the American government about the Soviets' pending ICBM capability. Even before the Sputnik 1 launch, Korolev was interested in getting to the Moon. He came up with the notion to modify the R-7 missile in order to carry a package to the Moon. However, it was not until 1958 that this idea was approved, after Korolev wrote a letter explaining that his current technology would make it possible to get to the Moon. A modified version of the R-7 launch vehicle was used with a new upper stage. The engine for this final stage was the first designed to be fired in outer space. Mechta is the Russian word meaning "dream", and this is the name Korolev called his moon ships. Officially, the Soviet Union called them Lunas . The first three lunar probes launched in 1958 all failed in part because of political pressure forcing the launches to be rushed with an inadequate budget to test and develop the hardware properly before they were ready to fly. Korolev thought political infighting in Moscow was responsible for the lack of sufficient funding for the program, although the US space program at this early phase also had a scarcely enviable launch record. Once, when pressured to beat the US to a working lunar probe, Korolev allegedly exclaimed: "Do you think that only American rockets explode!?" The Luna 1 mission on 2 January 1959 was intended to impact the surface, but missed by about 6,000 kilometres (3,700 mi). Nevertheless, this probe became the first to reach escape velocity and the first to go near the Moon, as well as becoming the first man-made object to enter the Sun's orbit . A subsequent attempt (Luna E-1A No.1) failed at launch, and then Luna 2 successfully impacted the surface on 14 September 1959, giving the Soviets another first. This was followed just one month later by an even greater success with Luna 3. It was launched only two years after Sputnik 1, and on 7 October 1959 was the first spacecraft to photograph the far side of the Moon, which was something the people of earth had never seen beforehand . The Luna missions were intended to make a successful soft landing on the Moon, but Korolev was unable to see a success. Luna 4 and Luna 6 both missed, Luna 5, Luna 7, and Luna 8 all crashed on the Moon. It was not until after Korolev's death that the Soviet Union successfully acheived a soft landing on the Moon with the Luna 9 . Towards the latter part of Korolev's life, he had been working on projects for reaching the planets Mars and Venus, and even had spacecrafts ready to reach both. The United States was also working towards reaching these planets, so it was a race to see who would be successful. 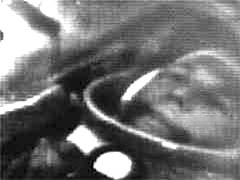 Korolev's two initial Mars probes suffered from engine failures, and the five probes the Soviet Union launched in hopes of reaching Venus all failed between 1961 and 1962, Korolev himself supervised the launches of all probes. On 1 November 1962, the Soviet Union successfully launched the Mars 1 and although communications failed, was the very first to complete a flyby of Mars. Later, the Soviet Union launched Venera 3, which was the very first impact of Venus. It was not until after Korolev's death that the Soviet Union impacted Mars. Korolev's group was also working on ambitious programs for missions to Mars and Venus, putting a man in orbit, launching communication, spy and weather satellites, and making a soft-landing on the Moon. A radio communication center needed to be built in the Crimea, near Simferopol and near Evpatoria to control the spacecraft. Many of these projects were not realized in his lifetime, and none of the planetary probes performed a completely successful mission until after his death. Although he was having ideas since 1948, Korolev's planning for the piloted mission began in 1958 with design studies for the future Vostok spacecraft. It was to hold a single passenger in a space suit, and be fully automated. The space suit, unlike the United States' pure oxygen system, was 80 percent nitrogen and only 20 percent oxygen . The capsule had an escape mechanism for problems prior to launch, and a soft-landing and ejection system during the recovery. The spacecraft was spherical, just like the Sputnik design, and Korolev explained his reasoning for this by saying "the spherical shape would be more stable dynamically" . Beginning with work on the Vostok, Konstantin Feoktistov was recruited directly by Korolev to be the principal designer for manned spaceflight vehicles . On 15 May 1960 an unmanned prototype performed 64 orbits of the Earth, but the reentry maneuver failed. On 28 July 1960, two dogs by the names of Chaika and Lishichka were launched into space, but the mission was unsuccessful when an explosion killed the dogs. However, on 19 August, the Soviet Union became the first to successfully recover living creatures back to Earth. The dogs, Belka and Strelka were successfully launched into space on a Vostok spacecraft and they completed eighteen orbits . Following this, the Soviet Union sent a total of six dogs into space, two in pairs, and two paired with a dummy. Unfortunately, not all the missions were successful. After gaining approval from the government, a modified version of Korolev's R-7 was used to launch Yuri Alexeevich Gagarin into orbit on 12 April 1961, which was before the United States was able to put Alan Shepard into space . Korolev served as capsule coordinator, and was able to speak to Gagarin who was inside the capsule. The first human in space and Earth orbit returned to Earth via a parachute after ejecting at an altitude of 7 kilometres (23,000 ft). Gagarin was followed by additional Vostok flights, culminating with 81 orbits completed by Vostok 5 and the launch of Valentina Tereshkova as the first woman cosmonaut in space aboard Vostok 6. Korolev proposed communications satellites and a modified Vostok useful for photographic reconnaissance to quiet Soviet military objections about the cost of planetary and manned programs of no perceived value for national defense. Korolev planned to move forward with Soyuz craft able to dock with other craft in orbit and exchange crews. He was directed by Khrushchev to cheaply produce more 'firsts' for the piloted program, including a multi-manned flight. Korolev was reported to have resisted the idea as the Vostok was a one-man spacecraft and the three-man Soyuz was several years away from being able to fly. Khrushchev was not interested in technical excuses and let it be known that if Korolev could not do it, he would give the work to his rival, Vladimir Chelomei. Cosmonaut Alexei Leonov describes the authority Korolev commanded at this time. Long before we met him, one man dominated much of our conversation in the early days of our training; Sergei Pavlovich Korolev, the mastermind behind the Soviet space program. He was only ever referred to by the initials of his first two names, SP, or by the mysterious title of "Chief Designer", or simply "Chief". For those on the space program there was no authority higher. Korolev had the reputation of being a man of the highest integrity, but also of being extremely demanding. Everyone around him was on tenterhooks, afraid of making a wrong move and invoking his wrath. He was treated like a god. Leonov recalls the first meeting between Korolev and the cosmonauts. I could not see his face, but he had a short neck and large head. He wore the collar of his dark-blue overcoat turned up and the brim of his hat pulled down. "Sit down, my little eagles," he said as he strode into the room where we were waiting. He glanced down a list of our names and called on us in alphabetical order to introduce ourselves briefly and talk about our flying careers. The Voskhod was designed as an incremental improvement on the Vostok to meet Khruschev's goal. As a single capsule would be ineffective for proper travel to the Moon, the vehicle needed to be able to hold more people . Khrushchev ordered Korolev to launch three people on the Voskhod capsule quickly, as the United States had already completed a two-man mission with Gemini. Korolev accepted, on the condition that more backing would be given to his N-1 rocket program . One of the difficulties in the design of the Voskhod was the need to land it via parachute. The three-person crew could not bail out and land by parachute, since the altitude would not be survivable. So the craft would need much larger parachutes in order to land safely. Early tests with the craft resulted in some failures causing the death of test animals until use of stronger fabric improved parachute reliability. The resulting Voskhod was a stripped-down vehicle from which any excess weight had been removed; although a backup retrofire engine was added, since the more powerful Voskhod rocket used to launch the craft would send it to a higher orbit than the Vostok, eliminating the possibility of a natural decay of the orbit and reentry in case of primary retrorocket failure. After one unmanned test flight, this spacecraft carried a crew of three cosmonauts, Komarov, Yegorov and Feoktistov, into space on 12 October 1964 and completed sixteen orbits. This craft was designed to perform a soft landing, eliminating a need for the ejection system; but the crew was sent into orbit without space suits or a launch abort system. With the Americans planning a space walk with their Gemini program, the Soviets decided to trump them again by performing a space walk on the second Voskhod launch. After rapidly adding an airlock, the Voskhod 2 was launched on 18 March 1965, and Alexei Leonov performed the world's first space walk. The flight very nearly ended in disaster, as Leonov was just barely able to re-enter through the airlock, and plans for further Voskhod missions were shelved. In the meantime the change of Soviet leadership with the fall of Khrushchev meant that Korolev was back in favor and given charge of beating the US to landing a man on the Moon. For the Moon race, Korolev's staff started to design the immense N1 rocket in 1961, using the NK-15 liquid fuel rocket engine. He also was working on the design for the Soyuz spacecraft that was intended to carry crews to LEO and to the Moon. As well, Korolev was designing the Luna series of vehicles that would soft-land on the Moon and make robotic missions to Mars and Venus. Unexpectedly, he died in January 1966, before he could see his various plans brought to fruition. The Russian people had many problems in day-to-day life, they were not too concerned about the first man on the moon. The Russians were not pretty close. I think Russia had no chance to be ahead of the Americans under Sergei Korolev and his successor, Vasili Mishin. ... Korolev was not a scientist, not a designer: he was a brilliant manager. Korolev's problem was his mentality. His intent was to somehow use the launcher he had [the N1 (rocket)]. It was designed in 1958 for a different purpose and with a limited payload of about 70 tons. His philosophy was, let's not work by stages [as is usual in spacecraft design], but let's assemble everything and then try it. And at last it will work. There were several attempts and failures with Lunnik [a series of unmanned Soviet moon probes]. 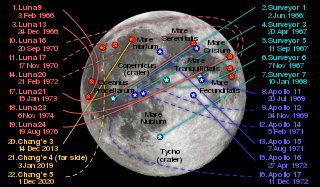 Sending man to the moon is too complicated, too complex for such an approach. I think it was doomed from the very beginning. On 3 December 1960, Korolev suffered his first heart attack. During his convalescence, it was also discovered that he was suffering from a kidney disorder, a condition brought on by his detention in the Soviet prison camps. He was warned by the doctors that if he continued to work as intensely as he had, he would not live long. Korolev became convinced that Khrushchev was only interested in the space program for its propaganda value and feared that he would cancel it entirely if the Soviets started losing their leadership to the United States, so he continued to push himself even harder. By 1962 Korolev's health problems were beginning to accumulate and he was suffering from numerous ailments. He had a bout of intestinal bleeding that led to him being taken to the hospital in an ambulance. In 1964 doctors diagnosed him with cardiac arrhythmia. In February he spent ten days in the hospital after a heart problem. Shortly after he was suffering from inflammation of his gallbladder. The mounting pressure of his workload was also taking a heavy toll, and he was suffering from a lot of fatigue. Korolev was also experiencing hearing loss, possibly from repeated exposure to loud rocket engine tests. The actual circumstances of Korolev's death remain somewhat uncertain. In December 1965, he was supposedly diagnosed with a bleeding polyp in his large intestine. He entered the hospital on 5 January 1966 for somewhat routine surgery, but died nine days later. It was stated by the government that he had what turned out to be a large, cancerous tumor in his abdomen, but Glushko later reported that he actually died due to a poorly performed operation for hemorrhoids. Another version states that the operation was going well and no one was predicting any complications. Suddenly, during the operation, Korolev started to bleed. Doctors tried to provide intubation to allow him to breathe freely, but his jaws, injured during his time in a gulag, had not healed properly and impeded the installation of the breathing tube. Korolev died without regaining consciousness. According to Harford, Korolev's family confirmed the cancer story. His weak heart contributed to his death during surgery. 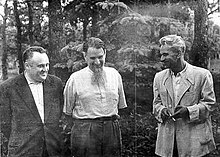 Under a policy initiated by Stalin and continued by his successors, the identity of Korolev was not revealed until after his death. The purported reason was to protect him from foreign agents from the United States. As a result, the Soviet people didn't become aware of his accomplishments until after his death. His obituary was published in the Pravda newspaper on 16 January 1966, showing a photograph of Korolev with all his medals. Korolev's ashes were interred with state honors in the Kremlin Wall. Korolev is often compared to Wernher von Braun as the leading architect of the Space Race. Like von Braun, Korolev had to compete continually with rivals, such as Vladimir Chelomei, who had their own plans for flights to the Moon. Unlike the Americans, he also had to work with technology that in many aspects was less advanced than what was available in the United States, particularly in electronics and computers, and to cope with extreme political pressure. Korolev's successor in the Soviet space program was Vasily Mishin, a quite competent engineer who had served as his deputy and right-hand man. After Korolev died, Mishin became the Chief Designer, and he inherited what turned out to be a flawed N1 rocket program. In 1972, Mishin was fired and then replaced by a rival, Valentin Glushko, after all four N-1 test launches failed. By that time, the rival Americans had already made it to the Moon, and so the program was canceled by CPSU General Secretary Leonid Brezhnev. Short of stature, heavily built, with head sitting awkwardly on his body, with brown eyes glistening with intelligence, he was a skeptic, a cynic and a pessimist who took the gloomiest view of the future. 'We are all going to be whacked and there will be no obituary' (Khlopnut bez nekrologa, Хлопнут без некролога – i.e. "we will all vanish without a trace") was his favorite expression. Korolev was rarely known to drink vodka or other alcoholic beverages, and chose to live a fairly austere lifestyle. His career also contributed to instability in his personal life. About 1946, the marriage of Korolev and Vincentini began to break up. Vincentini was heavily occupied with her own career, and about this time Korolev had an affair with a younger woman named Nina Ivanovna Kotenkova, who was an English interpreter in the Podlipki office. Vincentini, who still loved Korolev and was angry over the infidelity, divorced him in 1948. Korolev and Kotenkova were married in 1949, but he is known to have had affairs even after this second marriage. Korolev's passion for his work was a characteristic that made him a great leader. He was committed to training younger engineers to move into his space and missile projects, even while consumed with his own work. Korolev knew that students would be the future of space exploration, which is why he made such an effort to communicate with them. 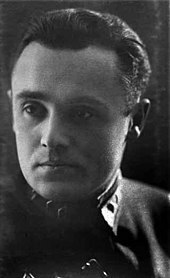 Arkady Ostashev was one of Korolev's students, who Korolev hired to do dissertation work before later becoming an engineer and working on the R-2 . Among his awards, Korolev was twice honored as Hero of Socialist Labour, in 1956 and 1961. He was also a Lenin Prize winner in 1971, and was awarded the Order of Lenin three times, the Order of the Badge of Honour and the Medal "For Labour Valour". In 1958 he was elected to the Academy of Sciences of the USSR. 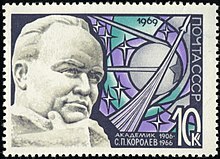 In 1969 and 1986, the USSR issued 10 kopek postage stamps honoring Korolev. In addition he was made an Honorary Citizen of Korolyov and received the Medal "In Commemoration of the 800th Anniversary of Moscow". Sergei Khrushchev claimed that the Nobel Prize committee attempted to award Korolev but the award was turned down by Khrushchev in order to maintain harmony within the Council of Chief Designers. In 1990, Korolev was inducted into the International Air & Space Hall of Fame at the San Diego Air & Space Museum. A street in Moscow was named after Korolev in 1966 and is now called Ulitsa Akademika Korolyova (Academician Korolyov Street). The memorial home-museum of akademician S.P.Korolyov was established in 1975 in the house where Korolev lived from 1959 till 1966 (Moscow, 6th Ostankinsky Lane,2/28). In 1976 he was inducted into the International Space Hall of Fame. The town of Kaliningrad (formerly Podlipki, Moscow region) is the home of RSC Energia, the largest space company in Russia. In 1996, Boris Yeltsin renamed the town to Korolyov. There is now an oversized statue of S.P. Korolev located in the town square. RSC Energia was also renamed to S.P. Korolev Rocket and Space Corporation Energia. Astronomical features named after Korolev include the crater Korolev on the far side of the Moon, a crater on Mars, and the asteroid 1855 Korolyov. Quite a large number of streets exist with his name in Russia as well as in Ukraine. In Zhytomyr on the other side of the street (vulytsia Dmytrivska) from the house where Korolev was born is the Korolev Memorial Astronautical Museum [Wikidata]. A visual phenomenon iconic to a type of rocket staging event is named the Korolev cross in honor of Korolev. The first portrayal of Korolev in Soviet cinema was made in the 1972 film Taming of the Fire, in which Korolev was played by Kirill Lavrov. He was played by Steve Nicolson in the 2005 BBC co-produced docudrama Space Race. In 2011 the British writer Rona Munro produced the play Little Eagles on Korolev's life – its premiere was from 16 April to 7 May 2011, in an RSC production at the Hampstead Theatre, with Korolev played by Darrel D'Silva and Yuri Gagarin by Dyfan Dwyfor. He was played by Mikhail Filippov in the 2013 Russian film Gagarin: First in Space. He was portrayed by Vladimir Ilyin in the 2017 Russian film The Age of Pioneers. "Korolev" is the name and subject of a track by Public Service Broadcasting (band). Korolev appeared briefly in a film-within-a-film in The Right Stuff during the administration of Dwight D. Eisenhower, inside one of the President's conference rooms. Korolev opens the 2007 graphic novel Laika by Nick Abadzis. The science fiction novel by Paolo Aresi titled Korolev was published in the Italian magazine series Urania in April 2011. The story The Chief Designer by Andy Duncan is a fictionalized account of Korolev's career. The Russian 304 class ship in Stargate SG-1 was named after Korolev. The character of Aleksandr Leonovitch Granin in the video game Metal Gear Solid 3: Snake Eater is Inspired by Korolev. In Star Trek VI: The Undiscovered Country, a United Federation of Planets Starfleet Constitution-class ship and a class of Starfleet ships are named after Korolev. Wikimedia Commons has media related to Commons:RIA_Novosti/Korolyov. ^ Harford, p. 25, 94. ^ "Korolëv" is the transliteration used by the Library of Congress and adopted by James Harford for his biography (Harford 1997, p. xvi). ^ a b West, John B. (1 October 2001). "Historical aspects of the early Soviet/ Russian manned space program". Journal of Applied Physiology. 91 (4): 1501–1511. ^ Siddiqi, Asif A. (2000). 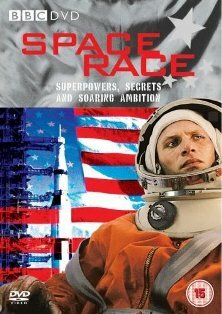 Challenge to Apollo: The Soviet Union and the Space Race, 1945-1974. NASA. p. 12. ^ a b Scott and Leonov, p. 53. Harford, p. 135. ^ В Житомире сто лет назад появился на свет Сергей Королев. ФОТО / Культура / Журнал Житомира / Zhitomir City Journal. Zhzh.info (12 January 2007). Retrieved on 2011-04-30. ^ a b c d e f g h Harford, James. Korolev: How One Man Masterminded the Soviet Drive to Beat America to the Moon. New York: Wiley, 1999. Print. ^ Siddiqi, Asif A. (26 February 2010). The red rockets' glare. Spaceflight and the Soviet imagination, 1857–1957. Cambridge University Press. p. 122. ISBN 0-521-89760-2. Retrieved 29 April 2011. ^ Altman and Holzman (2007). "1, Overview and History of Hybrid Rocket Propulsion". In Martin J. Chiaverini; Kenneth K. Kuo (eds.). Progress in Astronautics and Aeronautics, vol. 218: Fundamentals of Hybrid Rocket Propulsion. Reston, VA: American Institute of Aeronautics and Astronautics. p. 5. ^ French, Francis; Burgess, Colin (2007). Into That Silent Sea: Trailblazers of the Space Era, 1961-196. University of Nebraska Press. p. 110. ISBN 9780803206977. ^ French, Francis; Colin Burgess; Paul Haney. Into that Silent Sea: Trailblazers of the Space Era, 1961–1965. University of Nebraska Press. p. 110. ISBN 0-8032-1146-5. ^ "Last of the Wartime Lavochkins", AIR International, Bromley, Kent, U.K., November 1976, Volume 11, Number 5, pages 245–246. ^ Parrish, Michael (1996). The Lesser Terror. Greenwood Publishing Group. p. 46. ISBN 0-275-95113-8. ^ a b c d e f g h i j k l m n o p q r s t u Harford, James. (1999). Korolev : how one man masterminded the Soviet drive to beat America to the moon. Wiley. ISBN 0471327212. OCLC 60196908. ^ Harford, James. (1999). Korolev : how one man masterminded the Soviet drive to beat America to the moon. Wiley. ISBN 0471327212. OCLC 60196908. ^ Brzezinski, Matthew (2007). Red Moon Rising. New York: Times Books. ISBN 0-8050-8147-X. ^ Scott and Leonov, p. 54. ^ Lindroos, Marcus. The Soviet manned Lunar program MIT. Accessed: 4 October 2011. ^ Wade, Mark (2015). "NK-15". Encyclopedia Astronautix. Archived from the original on 25 August 2016. Retrieved 29 December 2015. ^ McKie, Robin, "Sergei Korolev: the rocket genius behind Yuri Gagarin", The Observer, 13 March 2011, retrieved 21 March 2011. ^ Kerber, Lev. Tupolev's Sharaga — 1973 (in Russian). ^ Image of 1969, 10k stamp. Image of 1986, 10k stamp. ^ What's On Main Stage Archived 21 March 2011 at the Wayback Machine. Hampstead Theatre. Retrieved on 30 April 2011. ^ Cast and creatives – Little Eagles Archived 25 February 2011 at the Wayback Machine. RSC. Retrieved on 30 April 2011. ^ Billington, Michael (21 April 2011). "Little Eagles – review". The Guardian. Harford, James (1999). Korolev: How One Man Masterminded the Soviet Drive to Beat America to the Moon. John Wiley & Sons. ISBN 0-471-14853-9. Korolyov, S. P. (1957). The Practical Significance of Konstantin Tsiolkovsky's Proposals in the Field of Rocketry. Moscow: USSR Academy of Sciences. Mishin, Vassily P. (12 November 1991). "Why Didn't We Fly to the Moon?". Jprs-Usp-91-006: 10. Vladimirov, Leonid (1971). The Russian Space Bluff. David Floyd (trans.). The Dial Press. ISBN 0-85468-023-3. Wikimedia Commons has media related to Sergei Korolyov. 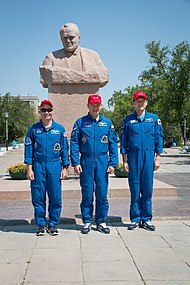 Episode 47 of astrotalkuk.org Contains recording from the unveiling of Yuri Gagarin Statue event in London on 14 July 2011, includes Natalya Koroleva speaking about her father. Sergei Pavlovich Korolev (1907–1966) Biography, with several historic photographs provided by Natalya Koroleva. "Korolev, Mastermind of the Soviet Space Program" Biography, with a few photographs, by James Harford, adapted, in part, from the author's book. "Sergei Pavlovich Korolev" Biography by Phil Delnon dated May 1998. Korolëv's slide rule at the U.S. National Air and Space Museum. His German-made slide rule was a "magician's wand" to his colleagues. Photograph and description of monument to S. Korolev[permanent dead link] at the Kiev Polytechnic Institute. 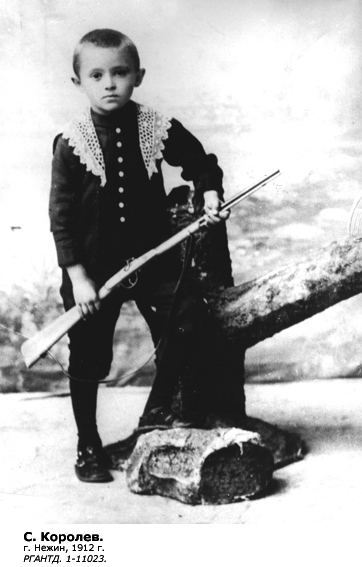 Korolev as a boy in Nizhyn, 1912. 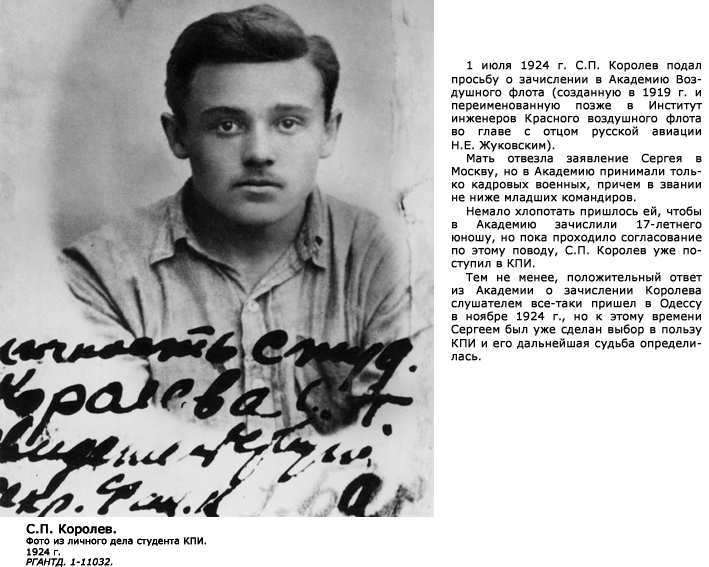 Korolev as a student at KPI, 1924. Vostok 1 was the first spaceflight of the Vostok programme and the first manned spaceflight in history. The Vostok 3KA space capsule was launched from Baikonur Cosmodrome on April 12, 1961, with Soviet cosmonaut Yuri Gagarin aboard, making him the first human to cross into outer space. Voskhod 1 was the seventh manned Soviet space flight. In October 1964 it achieved a number of "firsts" in the history of manned spaceflight, being the first space flight to carry more than one crewman into orbit, the first flight without the use of spacesuits, and the first to carry either an engineer or a physician into outer space. It also set a manned spacecraft altitude record of 336 km (209 mi). Konstantin Petrovich Feoktistov was a Soviet cosmonaut and an eminent space engineer. Feoktistov also wrote several books on space technology and exploration. The Feoktistov crater on the far side of the Moon is named in his honor. The Vostok programme was a Soviet human spaceflight project to put the first Soviet citizens into low Earth orbit and return them safely. 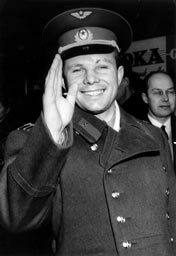 Competing with the United States Project Mercury, it succeeded in placing the first human into space, Yuri Gagarin, in a single orbit in Vostok 1 on April 12, 1961. The Vostok capsule was developed from the Zenit spy satellite project, and its launch rocket was adapted from the existing R-7 Semyorka intercontinental ballistic missile (ICBM) design. The name "Vostok" was treated as classified information until Gagarin's flight was first publicly disclosed to the world press. Valentin Petrovich Glushko, was a Soviet engineer, and designer of rocket engines during the Soviet/American Space Race. Zenit was a series of military photoreconnaissance satellites launched by the Soviet Union between 1961 and 1994. To conceal their nature, all flights were given the public Kosmos designation. Vasily Pavlovich Mishin was a Soviet engineer and a prominent rocketry pioneer, best remembered for the failures in the Soviet Space program that took place under his leadership. The RKK Energiya museum is a museum dedicated to the early achievements of Russian space exploration programmes. It is located on the grounds of the RKK Energiya factory in Korolyov, near Moscow. The RD-0109 is a rocket engine burning liquid oxygen and kerosene in a gas generator combustion cycle. It has single nozzle and is an evolution of the RD-0105. It was the engine used on the Vostok Block-E that launched Yuri Gagarin to orbit. Leonid Alexandrovich Voskresenskiy was a Soviet rocket engineer and long-time associate of famed Chief Designer Sergei Korolev. He served as launch director for Sputnik and for the first manned space flight, Vostok 1. The lunar crater Voskresenskiy is named in his honor. The Serhiy Pavlovych Korolyov Museum of Cosmonautics is a technology museum in Zhytomyr, Ukraine dedicated to Serhiy Korolyov. Korolyov led the Sputnik project and was Chief engineer for the Soviet Union's rocket and space program from the late 1950s until his death in 1966. He was born in Zhytomyr, then part of the Russian Empire.